Click the Amazon or iTunes links under the album cover to sample, stream, or purchase and download the album. Click on the 'Shop' icon in the menu above to purchase the physical CD from commoncrossing.net. This album, "Seeing The Light Of Day," was written close to 20 years ago and recorded in January 2010 in about 36 hours. It is a true labor of love. 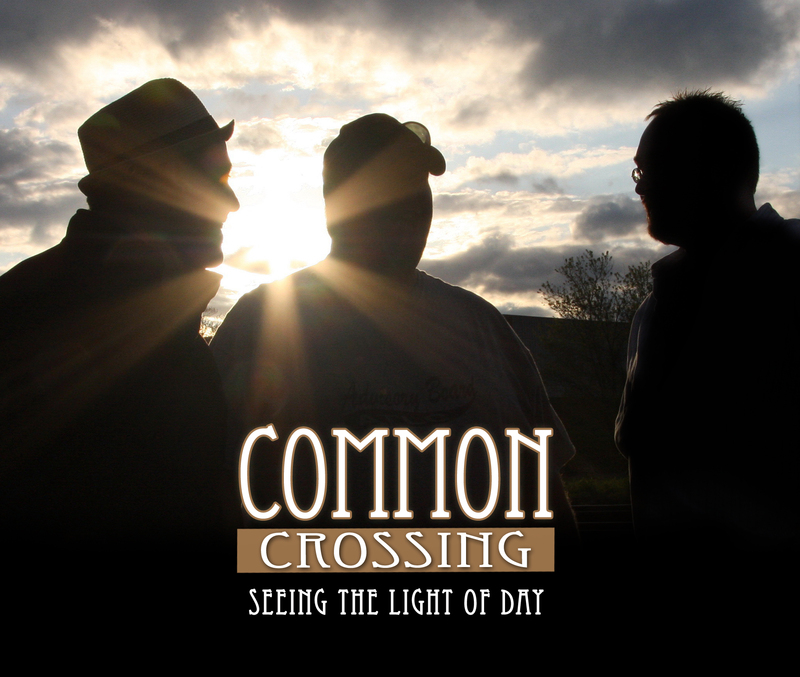 A pop/rock trio that stalled in the late nineties after one member moved away, Common Crossing had reconvened in 2009 and were presented with the opportunity to record. The problem was, the band had written some 50-60 songs in the past 15 years. Each member had their favorites, lists were compared and the result is this wonderful new album of old material. Not "old," but "previous." Album titles were suggested, both funny and poignant. Sitting in the studio during the marathon recording sessions (a span of 3 days), one of the band members said, "I'm so glad these songs are finally seeing the light of day." The band sure hopes you enjoy it as much as they enjoyed making it.